Recently, air emission reporting requirements for animal feeding operations (AFOs) has caused turmoil among livestock and poultry producers. Without sufficient knowledge about air emissions from AFOs and proper tools to estimate the emissions, it has been a difficulty for livestock and poultry producers to comply with the reporting requirement. This article aims to summarize background information and the best available resources about the air emission reporting requirements for AFOs with a purpose to help the producers. Farming had been traditionally exempt from the Clean Air Act (CAA) and state air quality regulations. However, as AFOs increased their scales of operations, public concerns over air quality impacts from AFOs have urged the U.S. Environmental Protection Agency (EPA) to start monitoring and regulating air emissions from AFOs. EPA announced a voluntary Air Quality Compliance Agreement (the Agreement) with Animal Feeding Operations on Jan. 21, 2005 with a purpose to ensure an AFO’s compliance with the applicable CAA, CERCLA (the Comprehensive Environmental Response, Compensation and Liability Act), and EPCRA (the Environmental Planning and Community Right- to-Know Act) provisions by establishing Emissions Estimating Methodologies (EEM) and air emission thresholds for AFOs based on data collected through the National Air Emissions Monitoring Study (NAEMS). Under CERCLA and EPCRA, AFOs were required to report ammonia (NH3) and/or hydrogen sulﬁde (H2S) exceeding 100 pounds in any 24-hour period. AFOs that signed the Agreement received a limited release and legal protection from liability for past and ongoing CAA, CERCLA, and EPCRA violations until EPA release the EEM tools to help report the NH3 and H2S emissions. Any AFO that chooses not to sign the Agreement would be subject to potential enforcement actions for any past and on-going CAA, CERCLA, and EPCRA violations. On Dec. 18, 2008, EPA published a final rule that exempted most farms from reporting ammonia (NH3) or hydrogen sulﬁde (H2S) emissions exceeding 100 pounds in any 24-hour period under CERCLA. 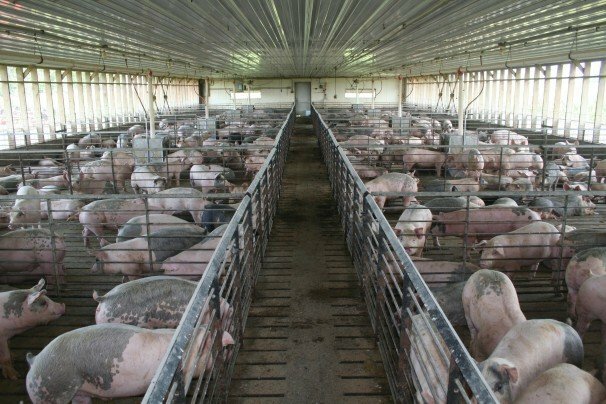 It also exampled farms that had fewer animals than a large concentrated animal feeding operations (CAFOs) from the air emission reporting requirement under EPCRA. In another word, after Dec. 18, 2008, only CAFOs were required to report ammonia (NH3) or hydrogen sulﬁde (H2S) emissions exceeding 100 pounds in any 24-hour period under EPCRA. The final rule was challenged in the U.S. Court of Appeals for the District of Columbia Circuit and was invalidated on April 11, 2017. This eliminated air reporting exemptions for farms with an effective date of Nov. 15, i.e. the reporting deadline. EPA sought additional time from the Court and the reporting deadline has been postponed to Jan. 28, 2018. EPA has an official website to provide background and frequent asked questions about the reporting requirement: “CERCLA and EPCRA Reporting Requirements for Air Releases of Hazardous Substances from Animal Waste at Farms” (https://www.epa.gov/epcra/cercla-and-epcra-reporting-requirements-air-releases-hazardous-substances-animal-waste-farms). It provides the most recent updates, background, frequent asked questions, and resources for the air emission reporting requirements. EPA encourages farmers to consider any of the resources provided in this website. a general “ammonia emission estimator” (https://water.unl.edu/documents/Ammonia%20Emissions%20Estimator%20-%20Daily%20VersionV03.pdf) for beef, dairy, horse, poultry (broiler, turkey, and ducks), and swine. In addition, University of Illinois Extension published a “table of animal number” (http://web.extension.illinois.edu/lfmm/downloads/72587.pdf) to assist animal producers to assess the likelihood that their farms emit ammonia (NH3) or hydrogen sulﬁde (H2S) exceeding 100 pounds in any 24-hour period, based on the animal numbers. Ohio animal producers are welcome to coordinate with their trade associations or county extension educators or state specialist of The Ohio State University Extension about this air emission reporting requirements.